Hello readers, today we are going to talk about an interesting topic and that is, how you can hide the apps on your android phone, that you don’t want others to know about. Sometimes you may use banking apps that needs more security or dating apps without the consent of your girlfriend. Just imagine what would happen if she takes your phone and finds you using apps like Tinder! 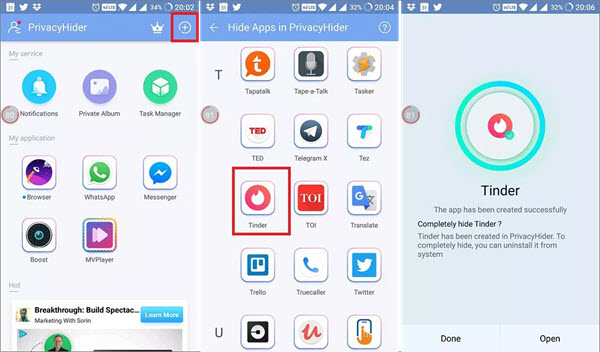 So here we will talk about a step by step guide which shows how you can hide sensitive apps in our Android smartphone no matter which version it is running on! It can be Android Oreo, Android Nougat, Android Marshmallow, Android Lollipop, or the older versions till Kitkat. We are gonna discuss how you can do it even without rooting your Android smartphone, so there will be nothing to worry about. This first method is for the annoying pre-installed apps or any other apps on your Android phone that you want to disable for a while. If your phone is using the latest Android operating system, you are able to hide apps by disabling them. After that, the app icons will be removed from the screen and wont come back until and unless you re-enable them. Step 1. Open the Settings app from your home screen or app drawer or toggle notification bar. Step 2. Tap “Applications”. If your Settings menu has headings above it, you’ll first have to tap the “Devices” heading. Step 3. Tap on Application Manager, and then tap the “All” tab. Step 4. Choose the app you want to hide, and hit “Disable”. Doing so should hide your app from your Home screen. If the app in question is not a pre-installed app, this option may say “Uninstall” instead. You can find your disabled apps in the “Disabled” section of the Apps menu. There are a few good apps available on the Play Store that will allow you to hide any app like Tinder or any other apps on your Android phone with just a single clicks. PrivacyHider offers so many ways to protect yourself that you would be amazed by the features comes with it. You can create a clone of any app, like Tinder, and delete the original app from your launcher. Now, Tinder lives and breathes inside PrivacyHider. But what if someone sees PrivaycHider? Going one step ahead of apps like Parallel Space, you can hide PrivacyHider itself in the form (icon) of a calculator. So, all you see is a calculator in your launcher that anyone can use. But if you enter a specific number (passcode) in the calculator and press “=”, you will instantly get access to the real app. Step 1. Download and install PrivacyHider. I assume you have already downloaded a sensitive private app. Open PrivacyHider and click the “+” icon on the top right. Step 2. Now Select the app you want to clone. When it is done, you will see a notification saying “The app has been created successfully”. You can now open the app directly or else click on done to go back to cloning more apps like WhatsApp or Messenger so that you can login using multiple accounts! Isn’t it awesome? Step 3. Now, you will go back to your Android app drawer, find the private sensitive app and uninstall it. You can also uninstall from the Settings menu. Your sensitive apps like Tinder now should reside inside PrivacyHider. 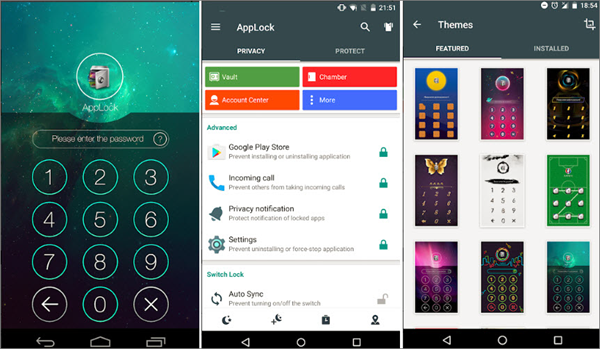 AppLock is one of the most popular app-locker apps on the Play Store, with more than 100 million downloads. The app has certainly earned that, as it’s also the best hide app for Android. With AppLock, you can lock apps as well as various Android toggles like WiFi, Bluetooth, mobile data etc. You can even lock incoming calls or almost any Android element. You can also set up various lock profiles for work, home etc. There are also options to make sure that the app locking triggers at a certain time or location. AppLock also lets you add a cover like a warning message that says “the app has stopped”, which is one of the usual Android warnings. Moreover, you can choose to hide any app, prevent uninstallation, and set up a delay for re-locking. It also includes a power saving mode, so if you use AppLock, you don’t need to worry about the app draining your device’s battery. Along with this best app to hide pictures and videos on Android, it also brings a photo and video vault, and support for plugins. AppLock is certainly a feature rich app and it works flawlessly. The app does include ads but they are rare and of the non-intrusive kind. Applock by DoMobile is very useful if you have smart phone with you as applock available free in Play Store so you can simple download it from there. To use this app is very simple, you just need to open it and set a password. In this way, you can hide everything with it like SMS, Gmail, movies, photos, calling, and also any app that you don’t want others to see. To open the applock you have two options. First a pin screen will come i.e from numpad, the another is the browser. All your data is kept private on your phone and away from intruders. You can also get the themes of app lock that will made it look more better and nice with colors. It has different languages and you can use it the way you want. 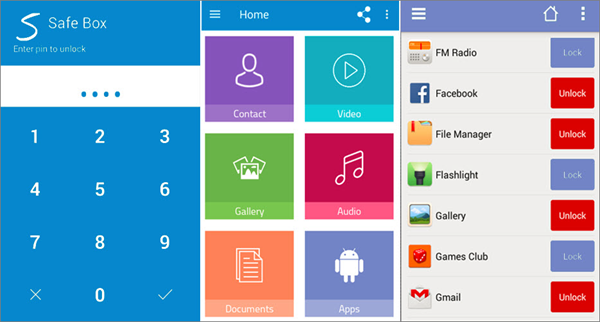 If you are looking for another easiest way to hide your files and apps on Android, get relax and don’t worry for your secret and confidential data on your mobile device. Safe Box is the easiest way to hide your secret and confidential contacts, pictures, videos, documents and apps on Android. 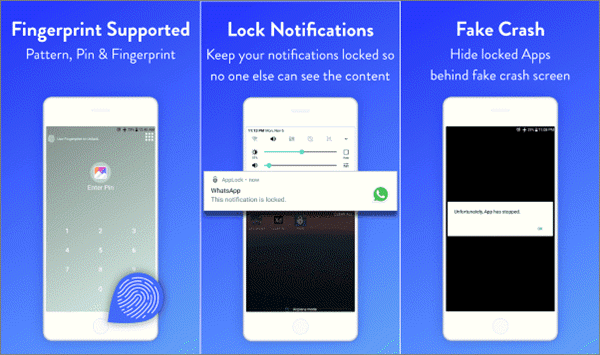 Lock your personal apps, like Tinder, WhatApps, Line, Facebook, Skype, Gmail and many more. Only you will have the power to access that apps. Hide your private moment pictures and secret videos. Make them more private with SafeBox. Safe your confidential documents, likes Bank Statement, Business proposal and many more confidential documents. Lock your very personal apps so nobody can see those apps and they will remain hidden and encrypted. 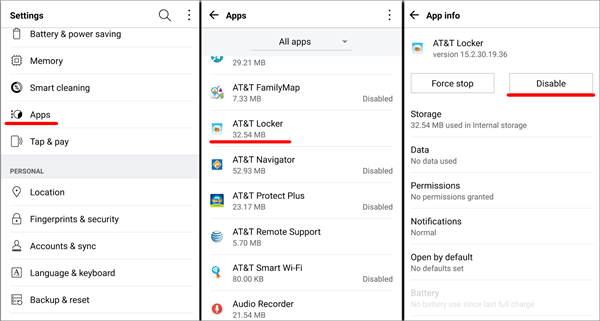 If you find your secret photos, videos or files are lost from your Android phone, you may try these Top 5 Best Android Data Recovery tools to help you get back the deleted data from Android internal memory.